that ghosts could suddenly appear. Margaret tells us about her fondness for the streets of Brooklyn and shares photographs from a recent visit, which she offers as inspiration, or we can write about our favourite town or city in which we like to take a stroll. This isn’t the first time I have written about Norwich, a beautifully quaint English city, which is close to my heart. Posted in Poems about Norfolk. Tagged Day 14, Imaginary Garden with Real Toads, Poems in April, The Streets of (Norwich). Thank you, Sanaa! 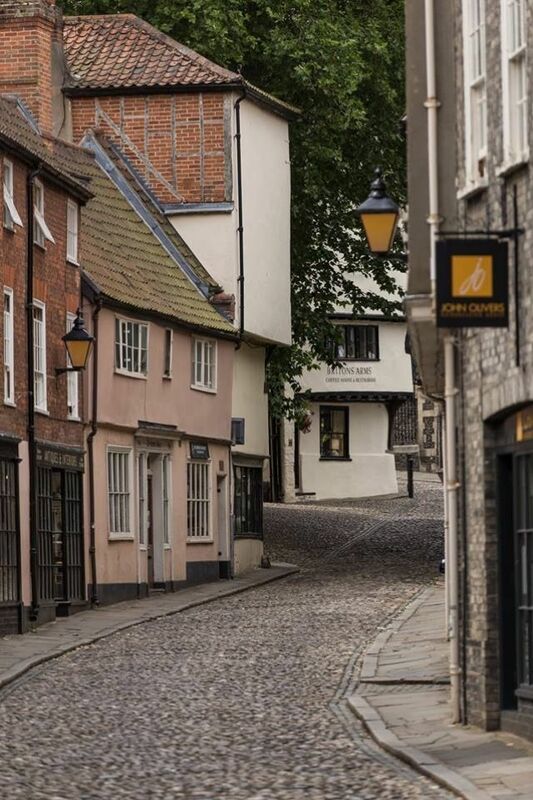 There is so much history and mystery in Norwich, we have ghost walks of the city. We also have a magnificent writing centre at Dragon Hall and a prestigious creative writing course at the University of East Anglia. You create a great sense of history. Thank you, Rosemary, there’s a lot of it around here. Well, Kim.. now we both have cobbles in our poem of the day. You say this place is home to witches.. I wouldn’t disagree. “This fine city slips on like a pair of favourite shoes laced up with familiarity.” Love that. Our historical places in the United States are so new compared to the rest of the world. You have fantastic landscapes, so varied and ancient. Our little island fits in the USA’s pocket! “Where witches were once ducked….” Those were tough times for witches. I loved your poem! There are plenty of witch and ghost stories around here, Sherry. to walk that history… right up my alley. Thanks for this. Nice walk, Kim. I like the old British towns with the cobblestone streets. I would like to visit Norwich. On the east coast we’ve only been to Harwich and also Eastern Scotland. Thanks Jim. Norwich is a beautiful city, on a par with York, and the coast is fabulous.